Dashboard panel helps publishers for comparison according to following time periods. You can see revenue comparison between current and previous time periods. Publishers can see revenue trajectory in accordance with impression on graphs between dates according to selection. 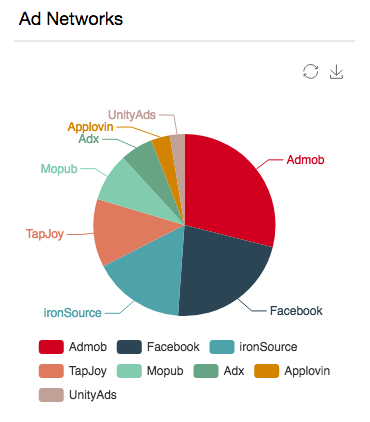 By pie chart of ad networks, publishers can see ad networks’ revenue and revenue percentage among all. This section provides a map of geo-presentation for revenue by location and list of top five countries of revenue rank. Set-up panel that you can create an app, define ad zones and add placements. Also, you can set priorities of ad networks, capping adjustments for time and country and alignment of the waterfall. You can manage testers with Advertising ID of mobile devices. API parameters can be set-up for ad networks and ad networks can be enabled and disabled. Admost’s detailed revenue report panel has Apps, Ad Networks, Zones, Countries, Zone Types and Adplace Types filters with a date range that you choose. Also, you can group data daily, weekly, monthly and yearly time intervals and also for filtered features. Compare to feature: Comparing data between time periods you choose. Revenue chart panel helps you to break down revenue, impression and eCPM values according to options as “Networks”, “Apps”, “Countries” and “Placement Type”. For this panel, you have many options to filter data and date range selection.